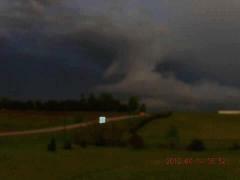 This is a photo of the tornado that hit Creston on Saturday night. checking on our safety was very much appreciated. just a lot of rain!